Use Hiking For Her's Search Box (above) or this Site Map to explore your most wanted hiking topics! Need a Hiking Coach or Mentor? Joining the REI Co-op makes sense if you're looking to save money on top brands. There are at least 14 member rewards to consider here. Beginners, start with this gear guide. And with these tips for choosing the best adjustable hiking gear. Oh, and don't forget your canine trail buddies: best hiking gear for dogs. Gear Reviews: This Stuff Works! Can't find what you need on the site map? Use the Search Box at the top of the page for fast navigation. Only 6 Types Of Hikers? Use this contact link to send suggestions for the best places to hike in the world! Use this site map to get out there and explore! 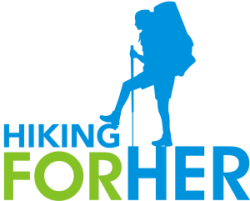 Hiking For Her would be delighted to give your product(s) a fair test in the great outdoors, and then write a detailed, balanced review based on decades of experience with outdoor gear. You can get in touch about setting up a product review for your company here. If you are interested in a glimpse into the hiking world through the eyes of Hiking For Her, let's set up an interview, podcast episode, guest blog post, speaking engagement, or whatever else you have in mind. This will put you in touch! Want To Advertise An Exciting Product? The monthly Happy Trails newsletter is an excellent place to reach dedicated, adventurous hikers yearning for fresh new products. Here are some ways you can get the word out about your product or service. Send an email to start the ball rolling.